Collaborators is a play with two casts: one is the actors onstage and the other is those silent characters truth, memory and dreams. 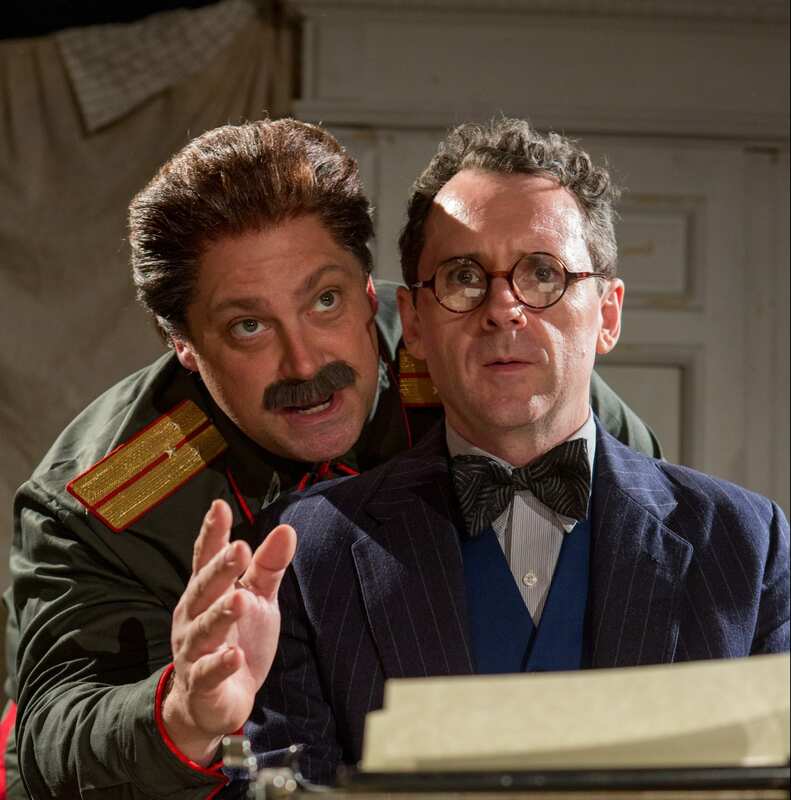 The play begins with a nightmare – the playwright Mikhail Bulgakov is plagued by dreams of fleeing from a menacing, typewriter wielding Josef Stalin. As he awakes he exchanges one dystopia for another: life in a small apartment in Moscow with his wife and 4 other inhabitants, one of whom lives, literally, in the closet. This is the Soviet Union circa 1938. Coffee is a long past dream, privacy non-existent. The ghosts of old Russia hang in the air. For those who lived during era of the Cold War, this image is familiar. We remember the Soviet Union of bread lines and banishments; of defections and dissidents – images gleaned from books like Dr. Zhivago which revealed the truth of Soviet life and yet could not be read by Soviets themselves. The concept of an Iron Curtain that divided people with the freedom to move as they wished from people whose lives were proscribed in every way, is entirely foreign to the generation that has grown up with selfies and ‘reality’ tv who experience much of life passively through electronics and video screens. In a way, that is an apt metaphor for how Soviets lived, always through the filter of constant surveillance. Forced to guard their true selves, they became experts in the art of dissembling. 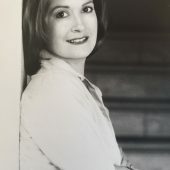 Many heroically pursued their art despite repression, and all lived in fear of being turned in on trumped up charges of anti-Communist behavior. You could be falsely accused of being an enemy of the state and when forced to lie and confess non-existent sins, you became an enemy to yourself. In such a world, what is truth? As Bulgakov embarks on a new project he struggles with this question. Unbeknownst to his wife and friends, he has been asked to write a play about the life of young Josef Stalin. Even as he advises his friend Grigory to fight the system and stay true to his literary vision, Bulgakov himself is being asked to compromise his own. Brian J. Carter as Bulgakov is excellent as he develops from harried artist to confident success story. Stalin, played with vigor by Ross DeGraw is bombastic and darkly humorous, although he never lets you forget he is the Big Kahuna. At times DeGraw does more mugging than acting, but it’s not clear whether that is his idea or a directorial choice. Robin Haynes as the NKVD agent Vladimir effectively conveys his conflicted relationship to power. The stubborn foe to free spirited artists on the outside he is yet an eager theatre newbie on the inside, ready to go out on that stage and become a star. To me the standout performance is that of Erin Biernard as Yelena. She has a lovely, creamy quality and a patient calm that holds its own against the flurry of activity around her. Her focus draws you into her performance. The balance of the cast play multiple smaller roles, which can be a little distracting, especially as that of necessity entails their running around the sprawling playing area. As they race through short scenes that are meant to overlap but do not, they have little opportunity to make more than an impression of a character in each vignette. The performances are uneven, but they do all find moments in which to shine. Doors open and close; lights go up and down; we look center, we look left, we look right. It becomes, frankly, a bit tiresome. Act I is too long, and pace feels frenetic even as the story begins to drag. 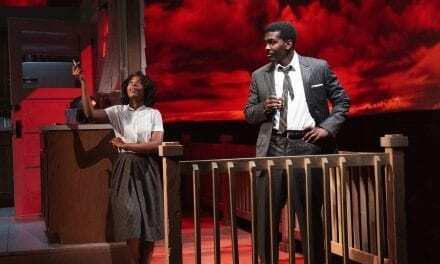 It is a testament to the actors’ concentration that the audience follows along despite the numerous interruptions. The theatre space itself hampers the action — a cavernous cold basement with only so many angles to play and only so many pipes on which to hang lights unavoidably limits directorial and lighting options. The set itself is nonetheless excellent, evoking the period with believably run-down furniture and the odd touch of the non-contemporary, as lack of access to the outside world inevitably led to Russians relying on outmoded technology in their daily lives. Accurate period costumes (thank you!) complete that picture. It’s 20 years into Communism, and Soviet rule has trapped Russians between a rock and a hard place. 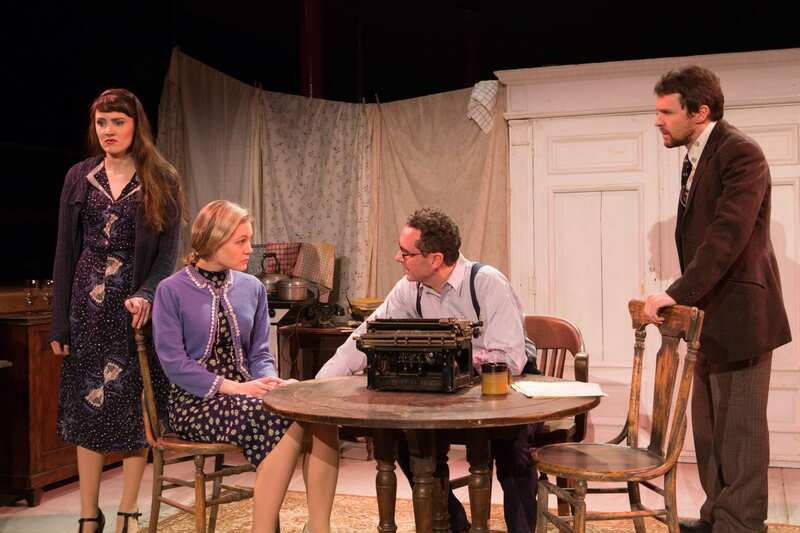 This dilemma is the fulcrum on which the play balances, a reflection of the trauma Russians endured as they fought to walk the line between personal truth and the reality of the tyranny under which they lived. 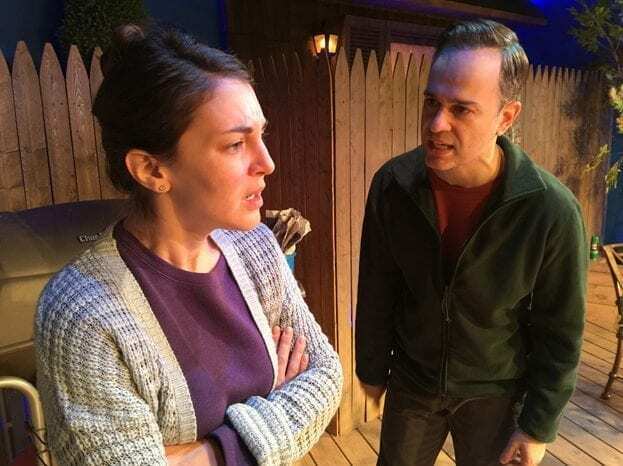 The myriad questions this conflict elicits is the thought provoking promise of Collaborators, a promise that just misses the mark in this production. Collaborators written by John Hodges; direction by Peter Dobbins; assistant direction by Fleur Alys Dobbins; scenic design by Rebecca Grazi; lighting design by Michael Abrams; costume design by Courtney Irizarry; sound design by Joel Abbott; production stage manager, Charles Caano, presented by The Storm Theatre Company; Producing Artistic Director, Peter Dobbins; Associate Artistic Director, Fleur Alys Dobbins; Development Director Robert Carroll. Run time approx. 2 1/2 hours, with one intermission. Featuring: Brian J. Carter, Ross DeGraw, Robin Haynes, Erin Beirnard, Michael P. Bernosky, Sean Cleary, Joseph Knipper, Jessica Levesque, Maury Miller, Ed Prostak, Natalie Pavelek, Joshua R. Pyne. Playing through February 13th at St. Mary’s Church, 440 Grand St. Thursday through Saturdays at 7:30 p.m., matinee Saturdays at 2:00 p.m. Tickets are $25 and can be purchased by visiting www.smartix.com or calling 212-868-4444.